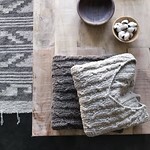 I've been wanting to start a little weekly blog post where I show off knitterly or not so knitterly inspirations that I'm currently obsessing over and have come across on the gigantic-world-wide-web-of-unlimited-sources-and-beautiful-pictures. Just for fun! I've been told on many occasions that I'm a great enabler. Enjoy! Currently knitting the Gemini (free pattern!). Using Jane's mods for three quarter length fitted sleeves (my fav). 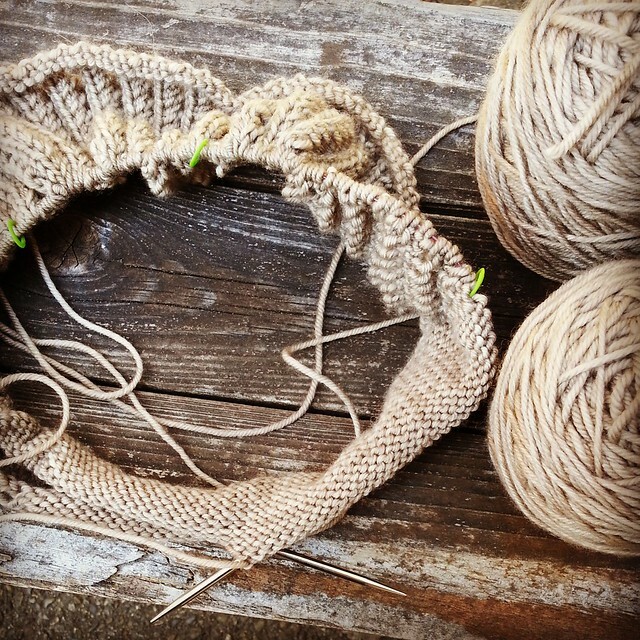 Tanis's recently finished Gemini and blog post had perfect timing! I totally used her advice on alternating skeins on a raglan line. Thinking I might have Startitis, because I'm itching to cast on this new cardi by Dawn Catanzaro in collaboration with Quince & Co. and their new yarn Owl. 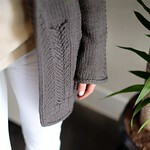 I recently finished a sample knit for Hannah Fettig using this yarn and it's spectacular! I'm not sure which yarn or how many strands of it I would need to hold together to get the right gauge for this, but I'm totally going to knit one for way cheaper than $894! Recently faved these on Rav: luv me some Stephen West, thinking I should probably join his Mystery KAL or I'll be sorry, so simple (how did I miss this before, I own this book! ), I'm thinking this would make a great beach bag for an upcoming trip to Hawaii. Okay, and if you're hungry after all of that, grilled pizza. Grill like on the BBQ, my friends. Who knew?! What are you knitting, reading, coveting, eating lately? Other things are from the colors in nature. I love watching the morning sky... and the evening. Especially during the summer season. I have been in a sock mood lately. Lots of socks on the needles!